This is the final count down and we need your help! 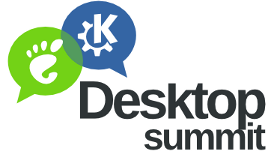 A community conference like Desktop Summit can only happen if you make it possible. It doesn't matter where you are from, how old you are, whether you have ever attended a Free Software conference... YOU can contribute as a volunteer. Have a look to the official announcement now and join us!